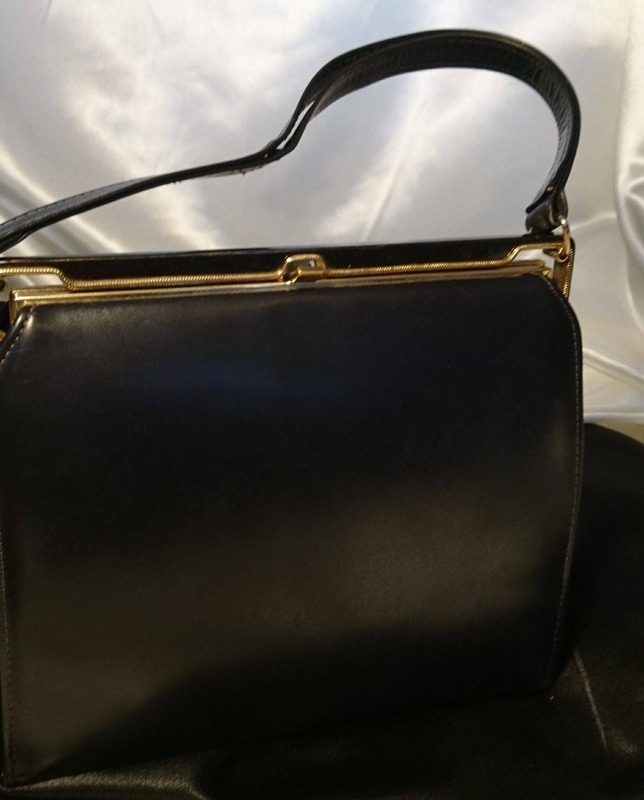 A gorgeous Ackery of London vintage A frame leather handbag. 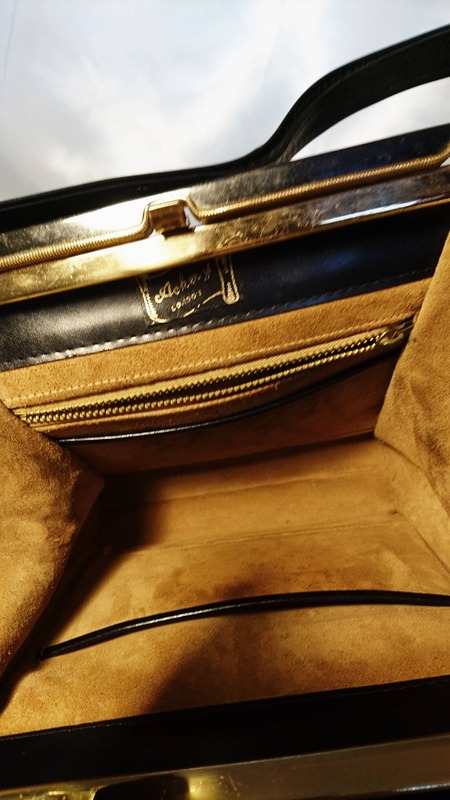 This bag is in excellent vintage condition inside and out with just the slightest of fade on the gold tone metal. 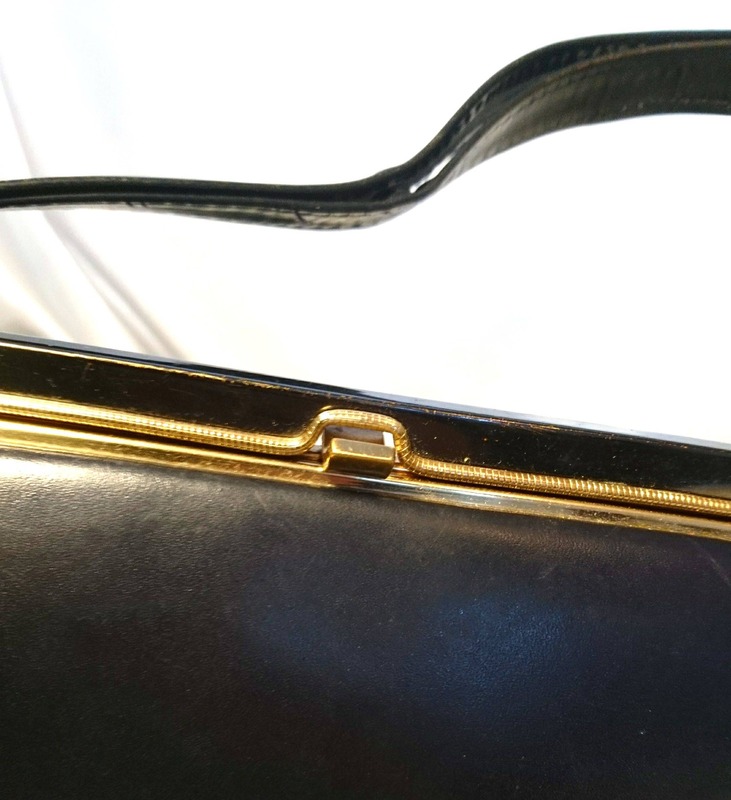 It is a very dark blue navy with gold tone metal finish and a top handle. 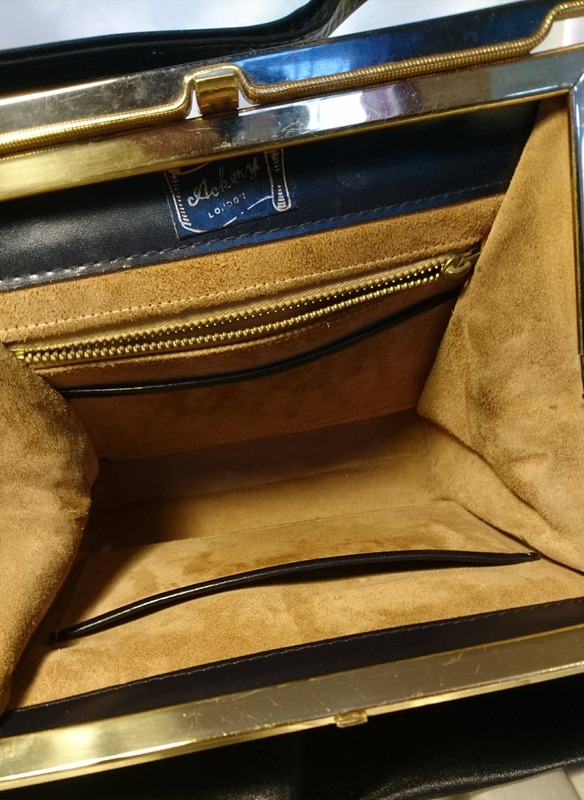 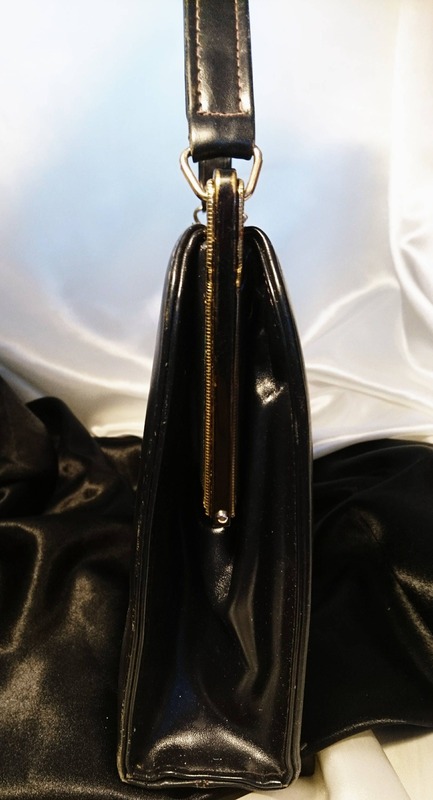 It has multiple compartments inside and is fully lined, the bag has the original labels inside. 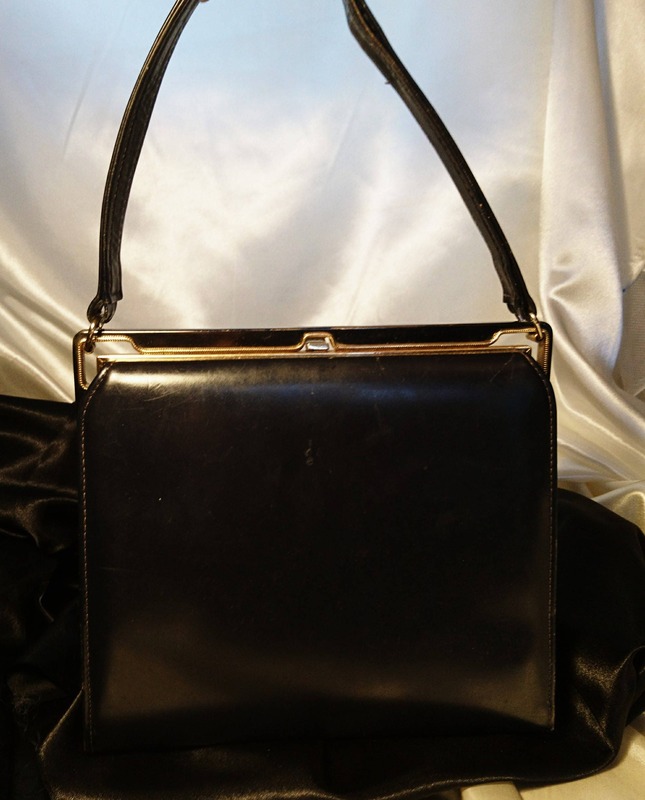 A lovely vintage 50's bag in excellent condition, approx 8" height and 8.5" width.